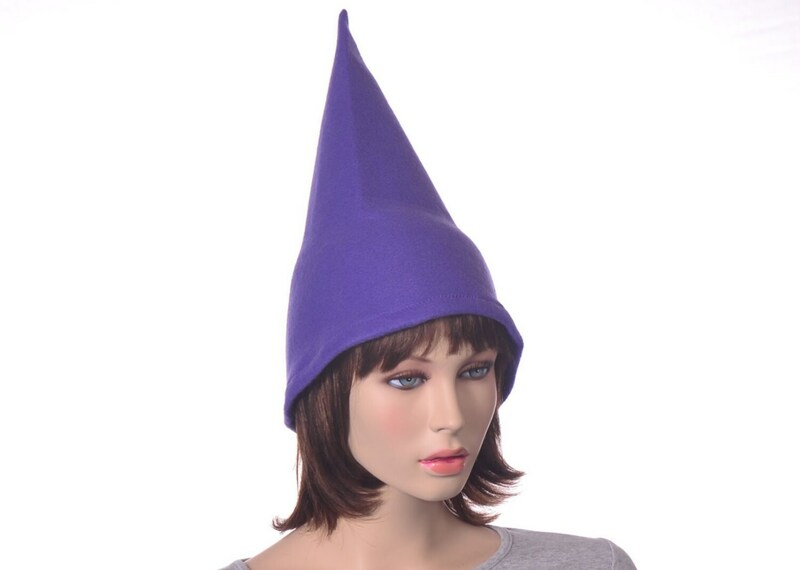 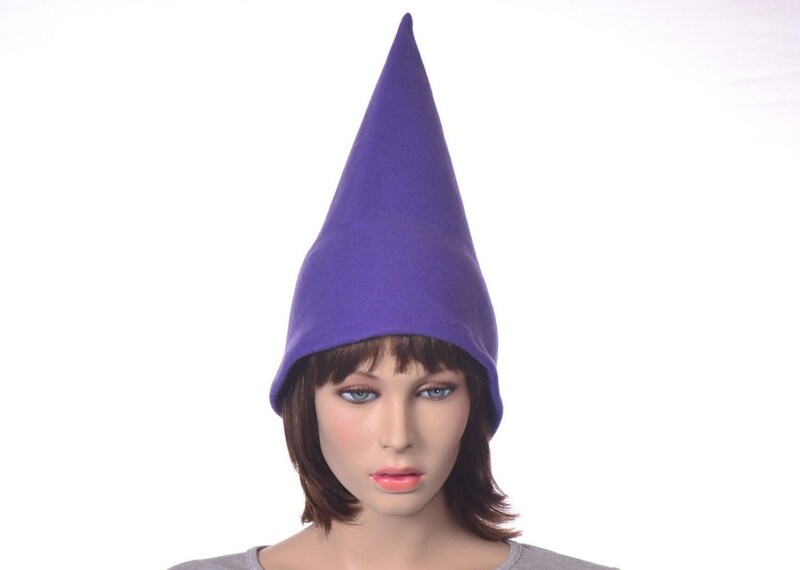 Purple gnome hat made from fleece. 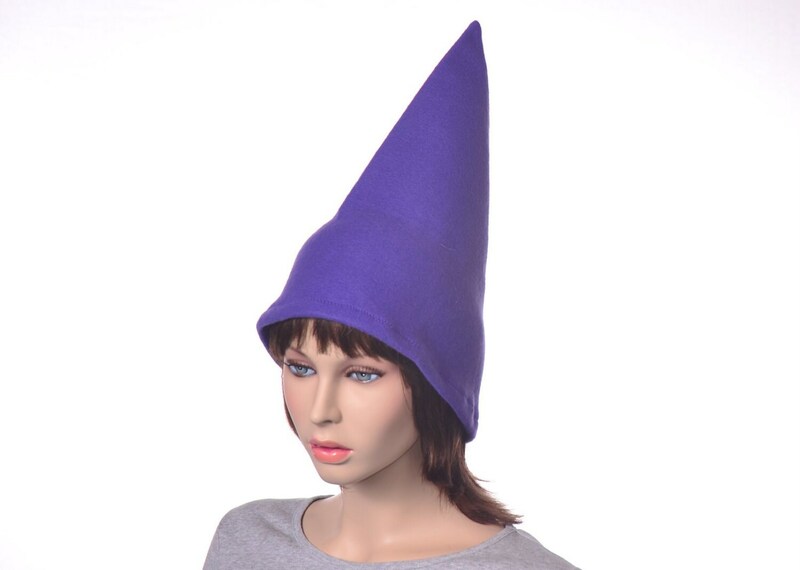 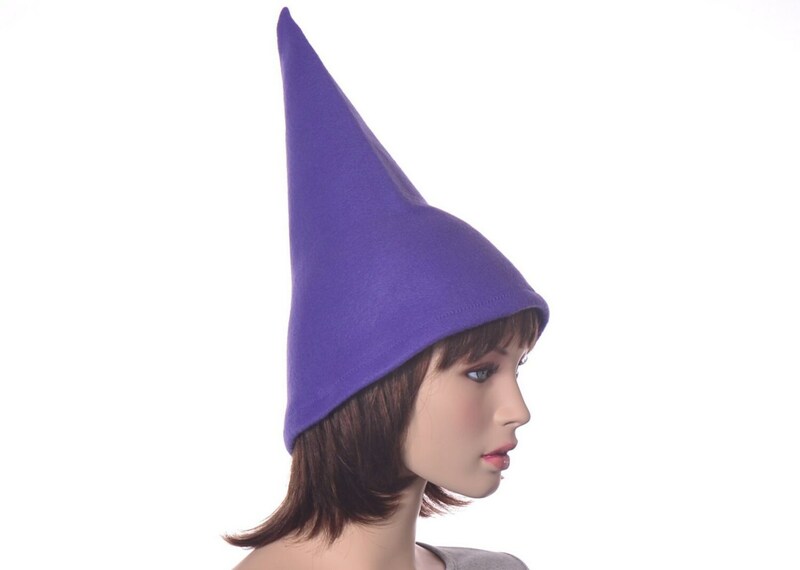 The upper portion of the hat is reinforced with interfacing to keep the hat standing tall. 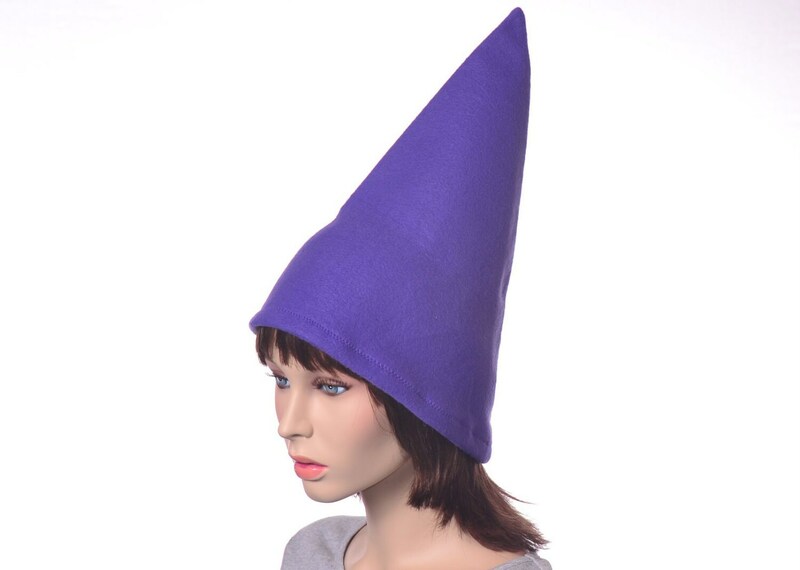 This hat measures about 15 inches tall.